The lead-up to Wrestlemania is always the biggest time of the year in terms of consumer interest and interaction for WWE. With Wrestlemania 29 on Sunday the company even made video game news with still over seven months until the typical release time frame for the series arrives. 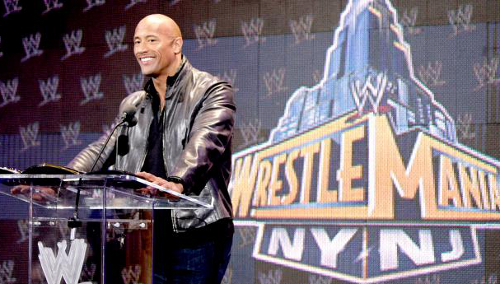 Executive Vice President of Consumer Products Casey Collins announced that The Rock will be featured on the cover of WWE 2K14. Dwayne Johnson has become one of the biggest names in the entertainment industry let alone “sports entertainment”. Some might take issue with the fact that a part-time performer gets the top billing – the same grumblings have been made regarding The Rock and his current title reign – but there is no one that could offer near the exposure and awareness levels that he provides. The WWE license is now in the hands of Take Two, with also acquired Yuke’s continuing on as the development studio at least in the short term, and falling under the 2K Sports label.